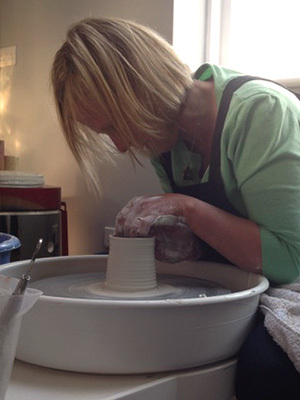 Sally Larke lives in Warwick and makes ceramics in her studio at the bottom of the garden. 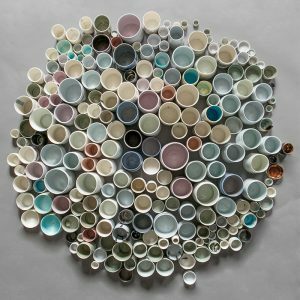 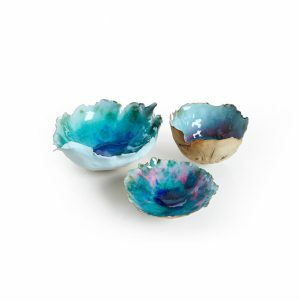 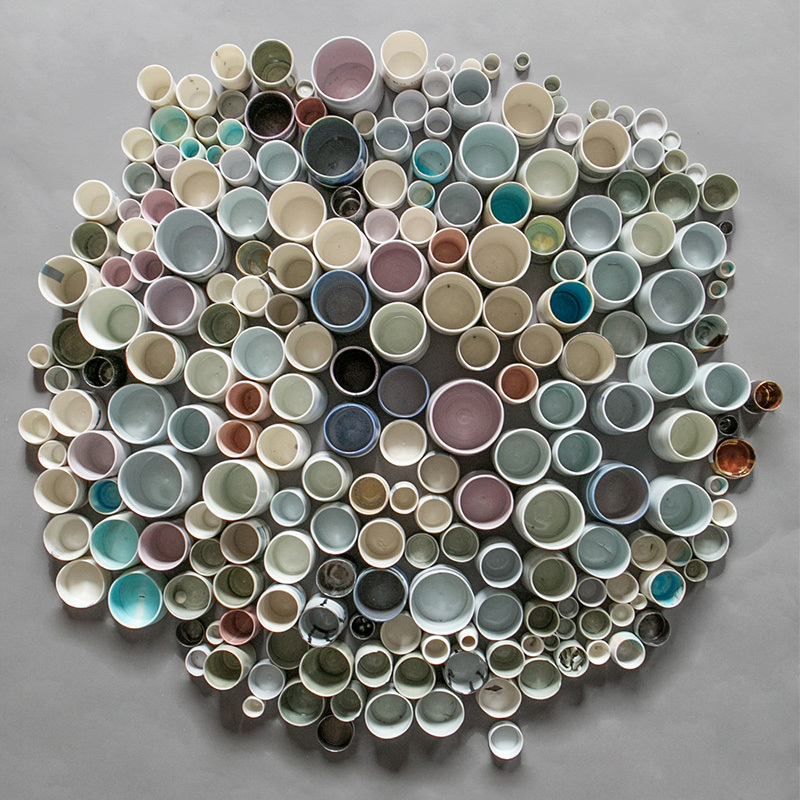 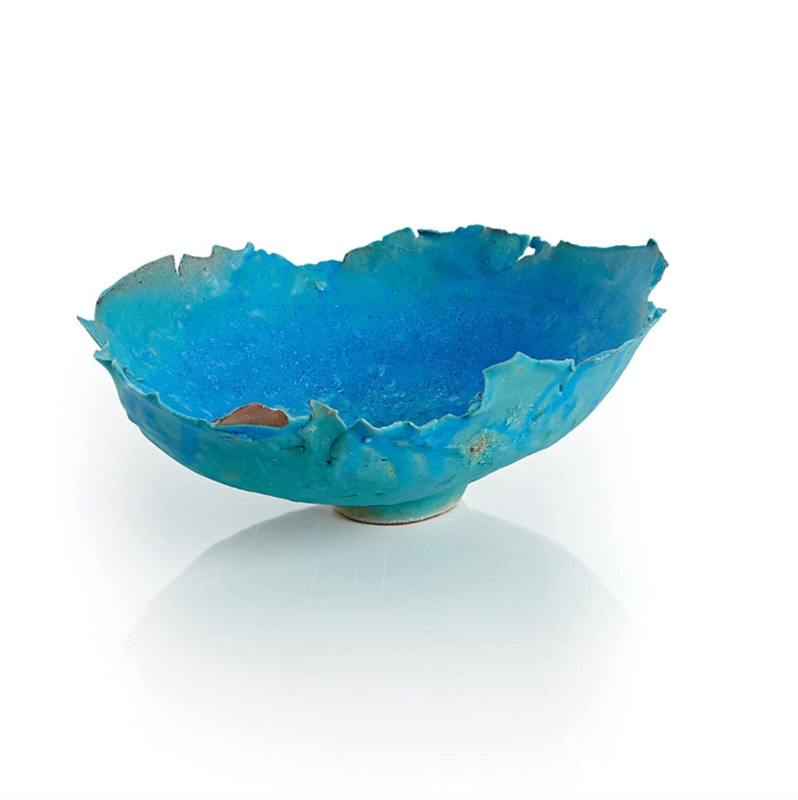 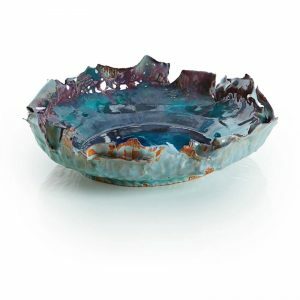 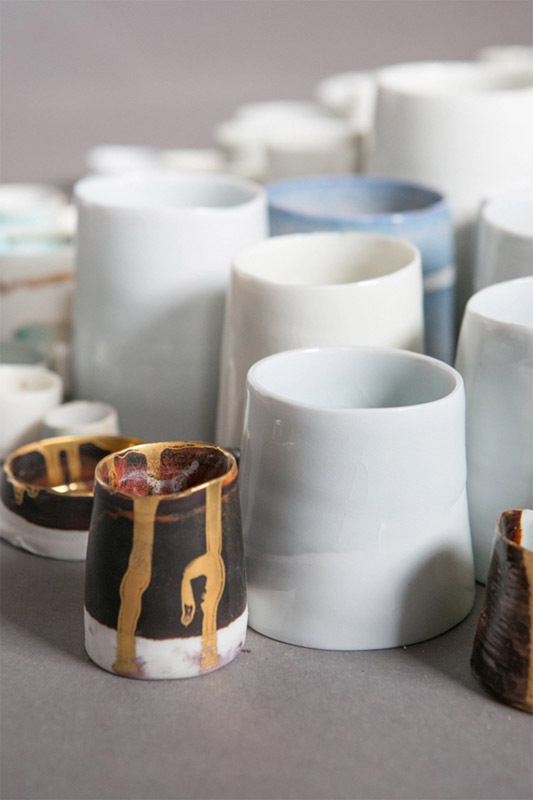 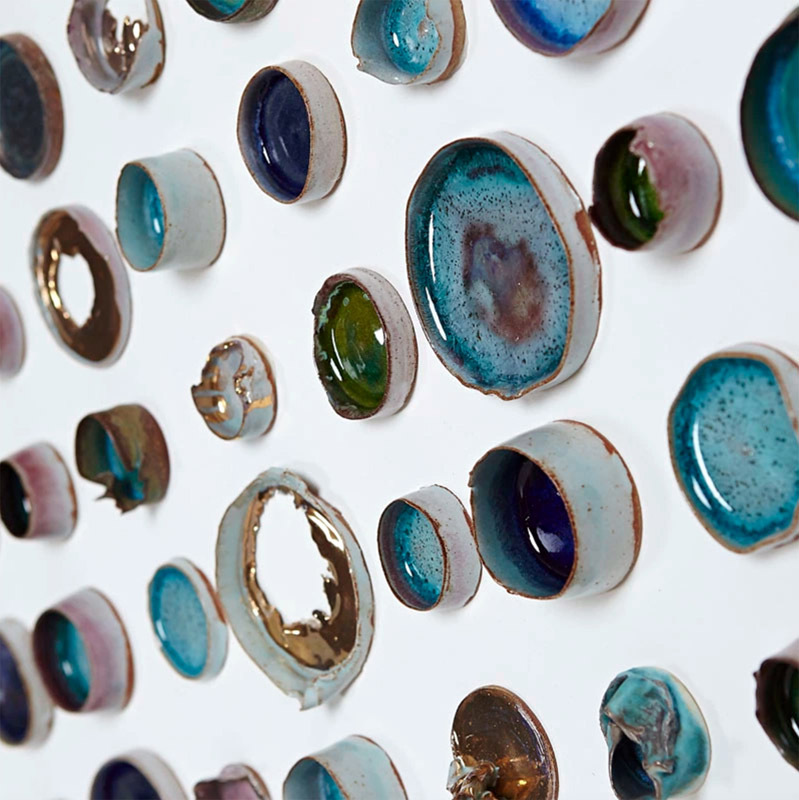 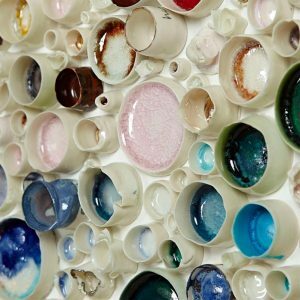 She makes ceramic pictures, sculptural bowls and more domestic pottery using stoneware, porcelain and glass. 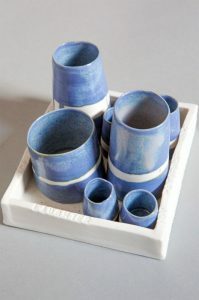 Her work is playfully made in collections and is inspired by the coastal landscape of the south west where Sally grew up. The recent series, ‘Rock Pools’ remind Sally of treasure hunting for shells and rocks on a joyous, sunny, summer day. The use of gold lustre to the broken pots cherishes and celebrates our imperfections; through our weaknesses we become stronger. These multiples of tiny pots are also inlaid with glass and a variety of coloured glazes.